This map measures the width of the marsh at Parkgate as 2 km and the total width of the estuary at this point as 6 km. The River Dee was canalised in the 18th century between Chester and Connah’s Quay in order to restore a channel for shipping to the ancient port of Chester; the work was completed in 1737. The point where the River Dee channel from Chester discharges into the estuary is also identified on the map. The creation of this channel directed the flow of the river over to the Welsh side of the Dee Estuary, thereby enabling the reclamation of land for the Deeside Industrial Park and creating the marsh. The lack of flow and silting on the Cheshire side of the Dee eventually brought an end to shipping at Parkgate and by 1810 the Dublin Packet service had transferred to Liverpool. The boats are moored on the edge of the channel, and on close inspection you can see the steep gradient from the beach to the channel. Sea-gulls can be seen flying overhead on the look-out for fish scraps – nowadays they are opportunists looking out for chips! 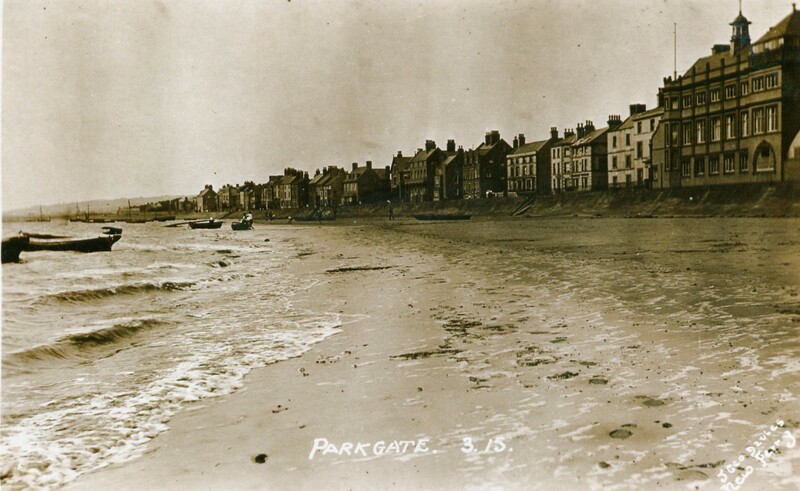 Before WW1 around fifty families were involved in the Parkgate fishing industry, mostly living in Parkgate itself. 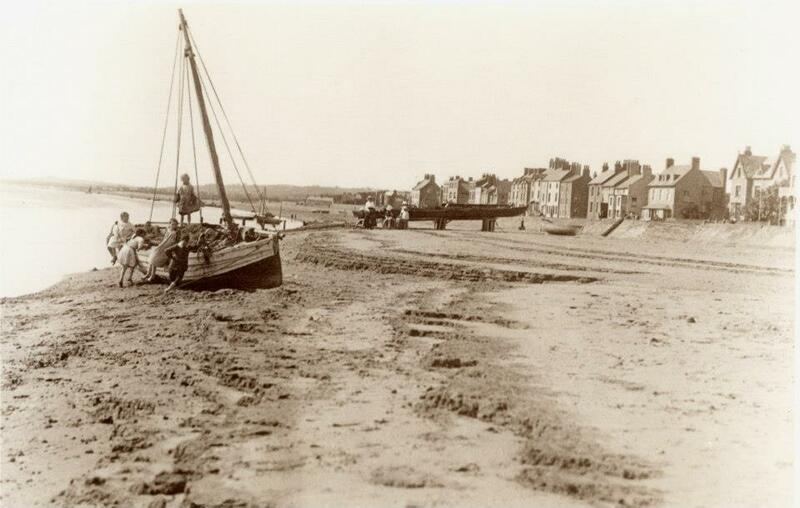 In the period before the Second World War there was still sufficient water in the channel to enable small boats to sail to and from Parkgate. 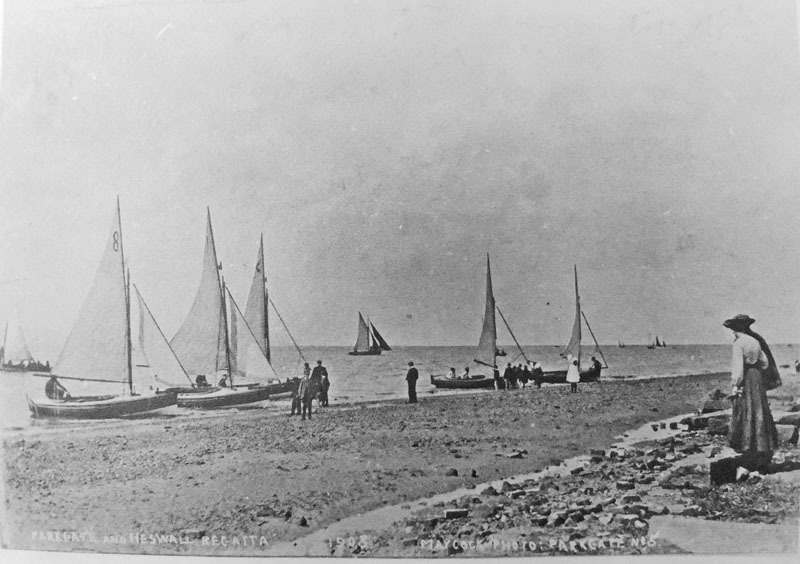 These were the fishermen’s nobbies (Morecambe Bay Prawners) and punts, and also pleasure boats (sailing and row boats). These would generally be left at anchor between outings, and so at high tide there would be quite a number of boats bobbing on the water. With the water in the Dee estuary being relatively shallow the boats designed for sailing in these waters were generally of shallow draught. 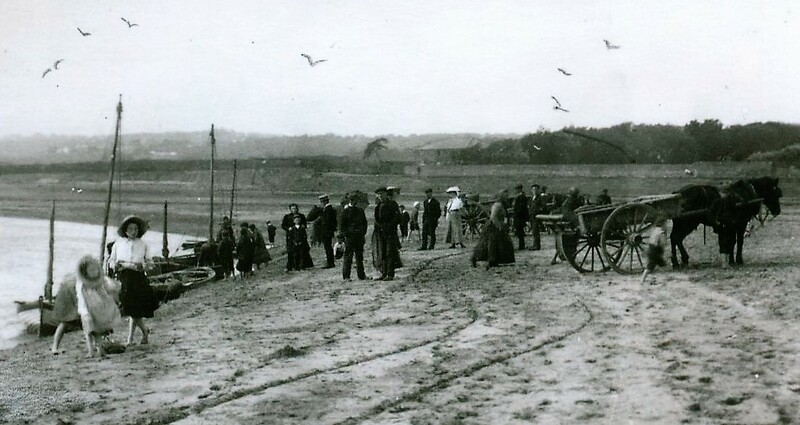 This picture shows Parkgate & Heswall regatta in 1903. The Parkgate regattas were an annual event for local fishermen from the various fleets around the Dee estuary. There were both sailing and rowing races to include all boat types (nobbies, yawls and punts). The final competition was a tug of war, traditionally between the Parkgate and the Neston fishermen. The event was followed by dancing on The Green (Which used to be located in the area behind Nicholls Ice Cream parlour.